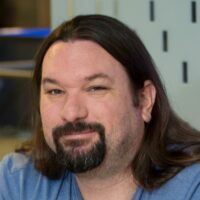 Denny Cherry is the owner and principal consultant for Denny Cherry & Associates Consulting and has over a decade of experience working with platforms such as Microsoft SQL Server, Hyper-V, vSphere and Enterprise Storage solutions. Denny’s areas of technical expertise include system architecture, performance tuning, security, replication, and troubleshooting. Denny currently holds several of the Microsoft Certifications related to SQL Server for versions 2000 through 2017 including the Microsoft Certified Master as well as being a Microsoft MVP for several years. Denny has written several books and dozens of technical articles on SQL Server management and how SQL Server integrates with various other technologies.